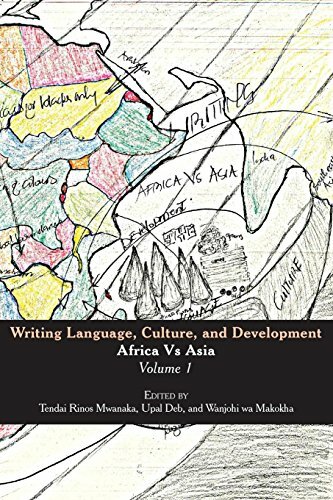 Writing Language, Culture and Development has 2 essays, 6 stories, 63 poems, 2 plays, and 50 translations into 13 languages; Chinese, Japanese, Nepalese, Arabic, Russian, Korean, Kiswahili, Shona, Hausa, Idoma, Igbo, Akan Twi, and of course, English, from Authors and poets who reside in these among other countries: South Africa, Japan, Vietnam, Nepal, China, Korea, Rusia, Tunisia, Nigeria, India, USA, Canada, Australia, Italy, Zimbabwe, Ghana, Kenya, and the UK, who are connected to these two continents, Asia and Africa. Nurturing South-South interactions and interlocutions, spiritually is an open ended discourse and praxis. We envision this ground-breaking idea as testament to future cooperations between the two continents. We believe Africa and Asia can use their competencies, i.e., human capital, culture, and langauges, histories, and deconstructionist agendas, to create developmental competences and this book highlights and explore a number of pathways that creatives of the two lands can explore and exploit as they march into a future of Weltliteratur. The cast and nature of the book and its content is a product of thought, imagination and environment. We invite you to it's offerings that individually, and collectively, accentuate our allied artistic commitment to the Humanities as an arena of thought on identities, languages, cultures, histories and epistemologies of postcolonial posture. If you have any questions about this product by Mwanaka Media and Pub, contact us by completing and submitting the form below. If you are looking for a specif part number, please include it with your message.